Key Difference: As the name suggests, Local SEO is SEO that is localized. It is geographically linked and it targets audiences in a localized area. Organic SEO refers to SEO that happens organically, i.e. naturally. 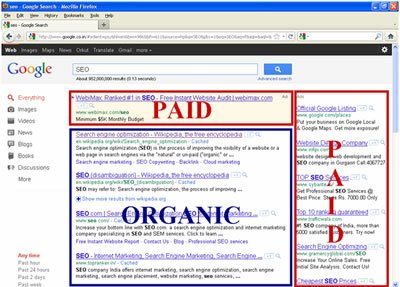 It means that one does not use paid practices to increase or improve their ranking in search engines. The term organic refers to an organism, i.e. a living thing that grows, expands, and adapts naturally over time. SEO can be difficult, especially for someone who does not have the technical knowhow of SEO. SEO, which stands for Search Engine Optimization, is a way to improve webpages so that they may rank better in search engines such as Google, Bing, Yahoo and other search engines. This is a priority as it typically results in more visitors to the page. Sounds simple enough, however, there are many different types of practices and strategies in which one can attempt to achieve an high level of SEO, which is what makes this confusing. Two such keywords are Local SEO and Organic SEO. Both are subsets of SEO, and of white hat SEO to be exact. White Hat SEO refers to legal and accepted SEO practices. The opposite is Black Hat SEO which refers to not too legal and shady SEO practices that are frowned upon in the industry. 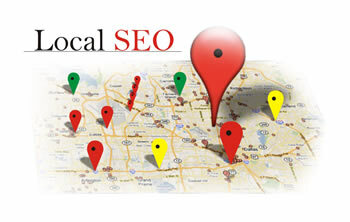 As the name suggests, Local SEO is SEO that is localized. It is geographically linked and it targets audiences in a localized area. This type of SEO is great for local businesses that cater to people in a specific area. It would not be helpful for these businesses to generate views and hits from another region, state, or country. While that’s great for brand recognition, it does not help their business. Hence, it would be ideal if they get hits and views from the areas they do service, which can help improve sales. Organic SEO refers to SEO that happens organically, i.e. naturally. It means that one does not use paid practices to increase or improve their ranking in search engines. The term organic refers to an organism, i.e. a living thing that grows, expands, and adapts naturally over time, as and when needed. Similarly, in organic SEO, the ranking will grow, expand and adapt over time in response to readers' desires. The actual practices between Local SEO and Organic SEO do not differ that much. The primary objective of both is the same, which is to improve the search engine optimization of the website or business. However, the primary difference between the two is the fact that local SEO focuses on geographical location, while Organic SEO does not. For example, if someone is in London and they search for ‘best car service’, there is no point in showing them the best car service, which may be located in New York. The user is not going to fly their car to New York to get it service. Hence, this listing does not help the business, nor does it help the client. What the user will be interested in is the ‘best car service’ in London. Both the car services should utilize local SEO so that they are advertised in their respective regions only. The manners in which they get rankings also differ. The target of Local SEO is to rank as high as it can for a specific set of keywords, whereas target of Local SEO is to get into the local listing packs. Also, Local SEO aims to get listed in every place that a customer might come across their business such as niche directories, forums, etc. Local SEO and Organic SEO further differ in the way the rankings are calculated. In Organic SEO, the ranking is decided upon the quantity of high quality and relevant links, which increase the relevance and authenticity of the website in the search engines. In Local SEO, the ranking is decided upon Citations, which are the mentions of the Business name, Physical address and Phone Numbers across the web. Being constantly cited in terms of the business and location, as well as the service validates the business to Google, i.e. proving that the business exists and in the location that it claims. The approach for Organic SEO includes On-page optimization and Off-page optimization, including working on your title tags, meta-descriptions, heading tags, optimizing anchor texts, creating amazing content, building an effective link building strategy, etc. The approach for Local SEO, on the other hand, includes the creation of a Google Listing, optimization of title tags and keyword density, getting in all the important directories in the niche, checking for the consistency of NAP across the web, encouraging the customers to write good reviews about you, write local content, etc. Hence, it can be seen that Local SEO and Organic SEO are two different things with different objectives. Depending on their needs, a business can focus on one or the other, or even both, or perhaps neither, which would not be a great idea. Local SEO and Organic SEO, both serve a different purpose that can help a business grow and get the views and customers it needs. Creation of a Google Listing, optimization of title tags and keyword density, getting in all the important directories in the niche, checking for the consistency of NAP across the web, encouraging the customers to write good reviews about you, write local content, etc. On-page optimization and Off-page optimization, including working on your title tags, meta-descriptions, heading tags, optimizing anchor texts, creating amazing content, building an effective link building strategy, etc.